Start by slicing your lime in half. Cut one half into wedges and place them in a cocktail shaker. Squeeze the juice from the other half. Add in the mint and the agave syrup. Bruise with a muddler or an ice tea spoon. Shake and set aside. In a blender combine the watermelon chunks, ice, and rum. 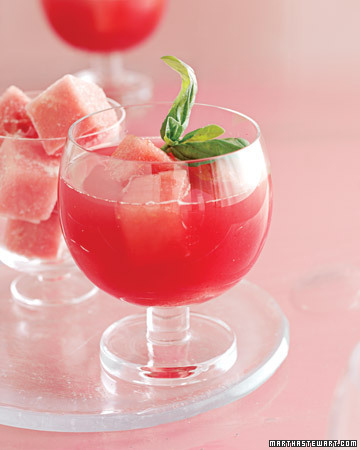 Once your are finished, put the lime mixture into a large glass and top with the watermelon blend. Stir and drink up!